Camping in the desert. Photo by Aaron Bailey. 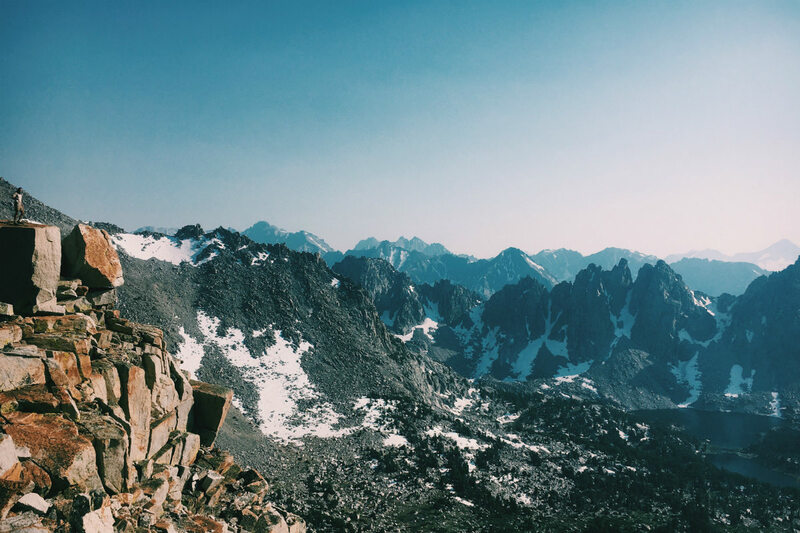 Tired of promising themselves they'd "go eventually," best friends Aaron Bailey and Sterling Montes finally embarked on the adventure they'd been dreaming of for years: hiking the length of the Pacific Crest Trail. They take a break from chasing sunrises to give us a halfway-point dispatch. So, what made you decide to take this trip? We met in college a few years back and would backpack with a group of friends on long weekends. The Pacific Crest Trail (PCT) was always a longer trip that we all talked about but right after school we both started working in tech (Sterling in SF and myself in NYC) and we saw two years fly by. We eventually figured if we don't do it now we'll put it off forever. Sterling was deciding between moving to NYC or doing the PCT — he chose the PCT, and there was no way he was doing it without me. What was the best tip you got before you left? Go light weight. We were told the more you shed the better. Simplicity and minimalism make for a better thru-hike. (A thru-hike is technically a continuous backpacking trip that extends over 400 miles. It's the official term for hiking the trail in its entirety.) We quickly learned that weight leads to more injuries, shorter distances, and a worse time. We tried to cut off as much pack weight before the trail thanks to some tips from former PCT thru-hikers, but then cut off even more once we were on the trail. Less is more in the truest sense, not only physically but also mentally. We all learned the common lesson of simplifying. Where is the start point and how did you get there? The start point is literally a few yards from the Mexican border in Campo, CA. We saw the fence and border patrol as we started hiking. Getting to the Southern Terminus can often be difficult, especially if you are traveling from another state or country. Typically two famous trail angels (people who help out hikers) named Scout and Frodo host people at their house and shuttle them to the trail head. We were fortunate to have our two good friends, Brendan and Tom, join us on a road trip down the California coast. We stopped and visited friends the entire way down to get a last minute fix of community before departing on our journey of solitude and adventure. Setting up camp. Photo by Aaron Bailey. Morning light. Photo by Sterling Montes. Distance to go: 1,028 miles. Your itinerary so far: The PCT stretches from Mexico to Canada on the eastern mountain ranges of California, Oregon, and Washington. 1. The Desert: We started southeast of San Diego and trekked through San Jacinto, Big Bear, and the Mojave, ending in Kennedy Meadows. 2. The Sierra starts just after Kennedy Meadows and immediately passes Mt. Whitney. We continued through Kings Canyon along the John Muir Trail. After hiking through Mammoth we hit Tuolumne Meadows in Yosemite. 3. 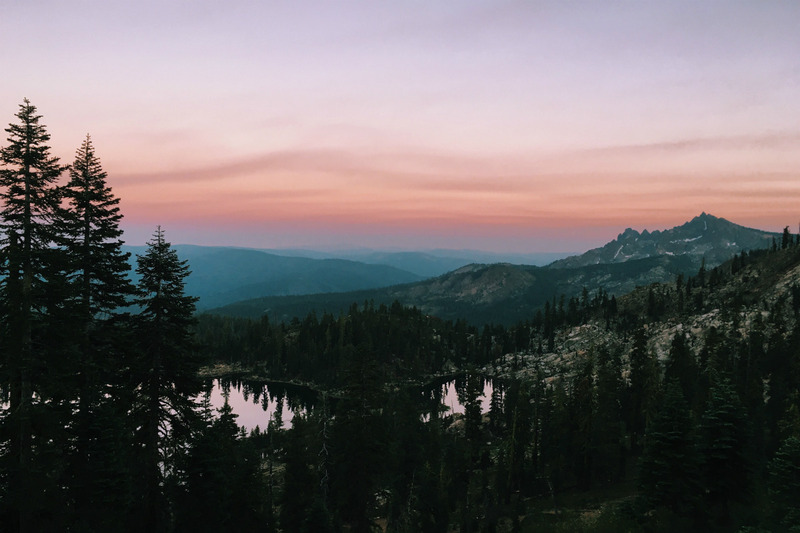 Northern California: Northern California begins in the Tahoe area and continues through Lassen National Park up to Shasta. Oregon and Washington are next. What about at night? Last night we actually stayed at a hostel. We pulled our longest day, 40 miles, to make it in to a tiny hiker town called Etna. 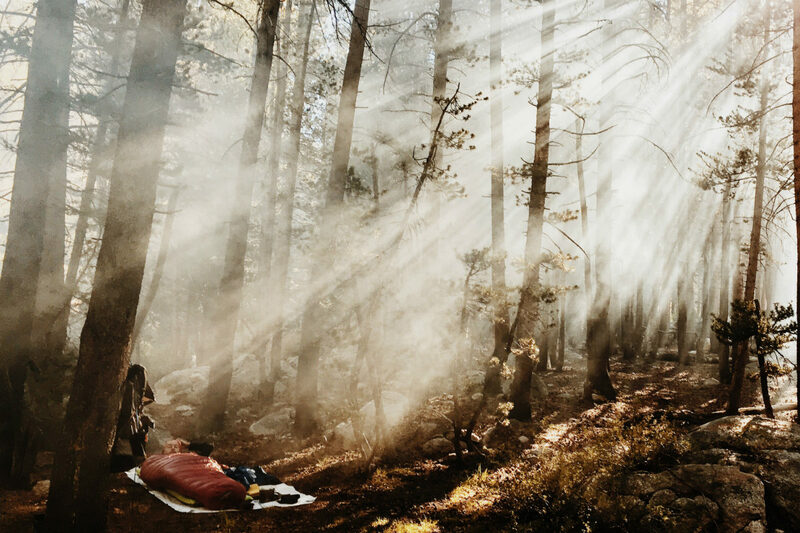 We slept in our tarptents (a tarp draped over our trekking poles and staked down) because all the beds were taken. An evening's campfire. Photo by Sterling Montes. What do you know now that you wish you had known on the first day? We wish we'd have planned our food better. 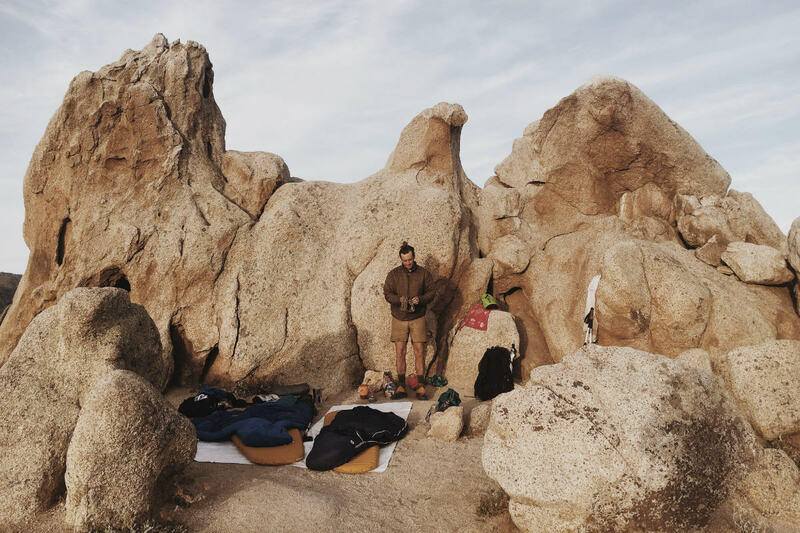 We eat fine, but we are always super jealous of hikers who have freeze-dried or pre-dehydrated homemade meals that they'd been making months before the trip. Calorie-to-ounce ratio is really important when packing food, so acquiring a diverse set of calorie-dense food is crucial. Thanks for letting us follow along via your Instagram feed and your blog. How are you staying online while going off the grid? We get service on top of mountains or ridges sometimes, but we mostly get it when we head into town to resupply on food. We use Anker external battery packs to make sure our phones don't die. Our phones play an important role in our hike because our maps are on them. They tell us where we are and where water and campsites are — which helps us plan our days. We use an app called Guthook — it's like Google Maps for hikers, and absolutely essential. Our phones are more utilitarian than ever, a tool rather than a distraction, which is a nice change of pace. The same goes for social media; it actually really helps us stay in touch with people rather than acting as a constant stream of distraction. This was especially great: Meeting the coolest people in the world who all have the same five-month goal as you. But this wasn't: Drowning in clouds of mosquitoes. 1. Glad you packed: Therm-a-Rest Neo Air — our bed. It's key to our recovery and so amazing. 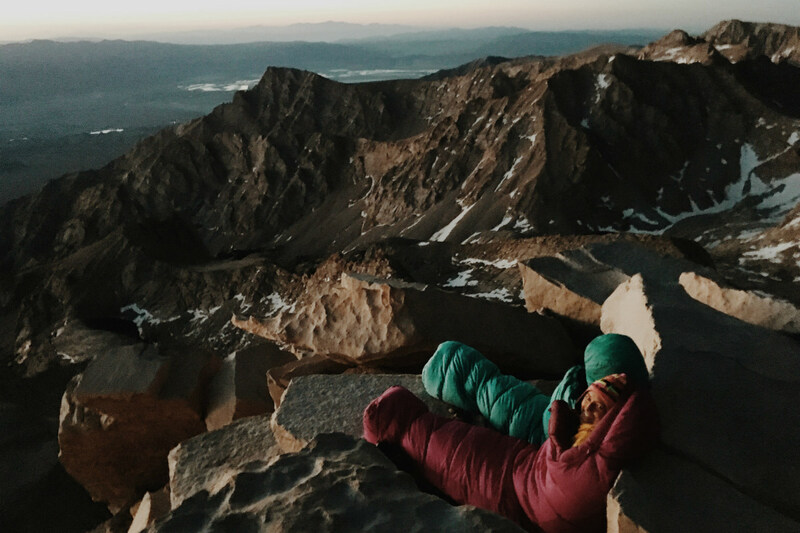 You spend at least 30 percent of the PCT in your sleeping bag on a sleeping pad; make it comfortable. 2. Wish you'd packed: Dehydrated meals. Some people have an entire system dialed and they eat like kings every day. 3. Didn't need: Any rain gear. It's only rained once and for only an hour. But supposedly we'll need it in Washington. 4. Any new inventory? Bug spray, gallons of it. Swimming with trail friends. Photo by Aaron Bailey. Summiting. Photo by Aaron Bailey. 1. Meal or meals: Poptart-oatmeal-almond butter combination. 2. City/region/part of the route: Sierra to John Muir Trail portion. Everyone in the world should be required to do it. 3. Thing you did: Hard to decide. There was using our sleeping pad to float down river rapids, catching and eating fish without a rod, coming upon lakes to find 20 of our favorite people on the trail swimming. One place you didn't get to visit, but wanted to: Summiting Mt. Shasta. We are constantly passing beautiful areas and keeping tabs on spots along the way. I have so many spots I want to go back to and explore. 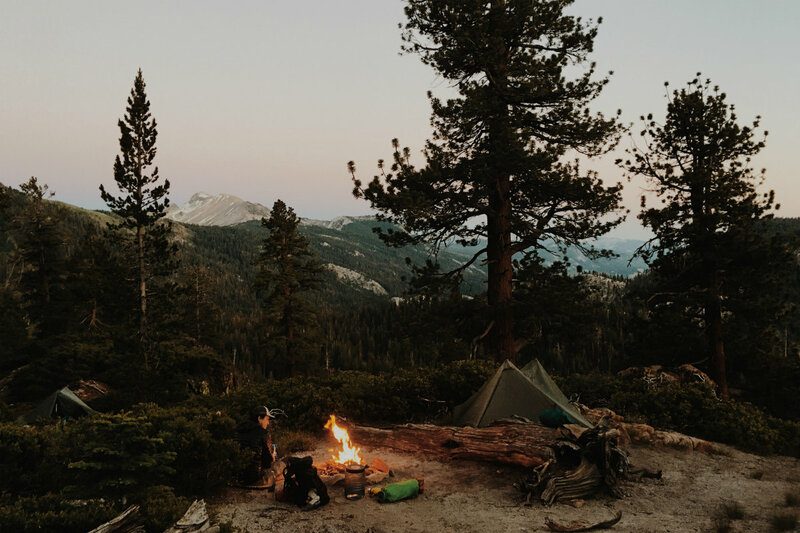 It's crazy having a general idea of good places to camp across all of California. Any surprises? We encountered a sign that said "Trail Magic Ahead" on the trail. Before we knew it we were eating pizza and drinking beer out of the back of a Suburban in the middle of the wilderness. These Trail Angels happened to be good friends of one of our fellow hikers. They followed us for a few days and met us in the middle of nowhere with provisions — it was amazing. They are now some of our greatest friends from this journey. Watching the sun rise. Photo by Sterling Montes. Sunset. Photo by Sterling Montes. You can't stop thinking about: What else could possibly come next? How far can my body go? What else could I possibly learn about myself? How can I give back after the trail? We can't wait to be trail angels. The Kodak moment: Summiting Mt. Whitney at sunrise. What's the #1 tip you'd give a friend who wanted to go? Don't give up. Ninety-five percent of people quit not because of the physical challenge, but because of the mental one. Just keep walking; you won't stop learning things about yourself. Where to next? Just under 100 miles until Oregon. Don't miss Aaron and Sterling's #FathomTakeover on Instagram at @FathomWaytoGo. 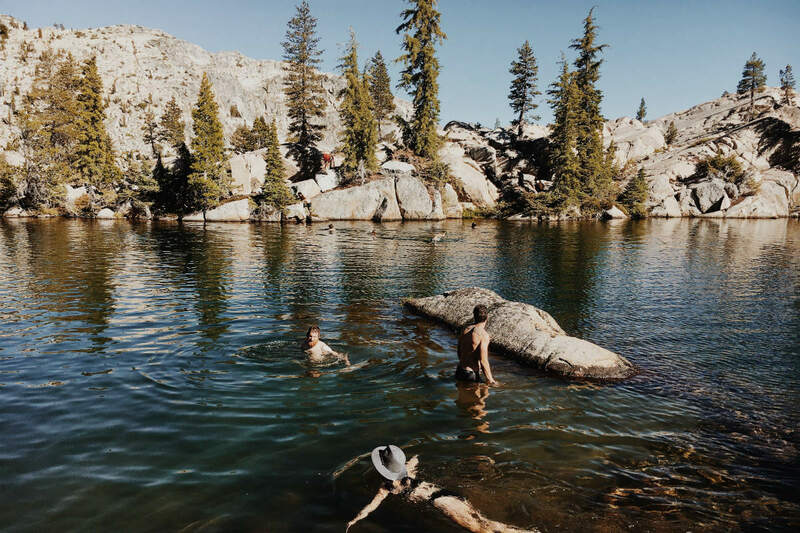 Aaron and Sterling are friends who both realized their dissatisfaction working in tech jobs and took to the wilderness instead. 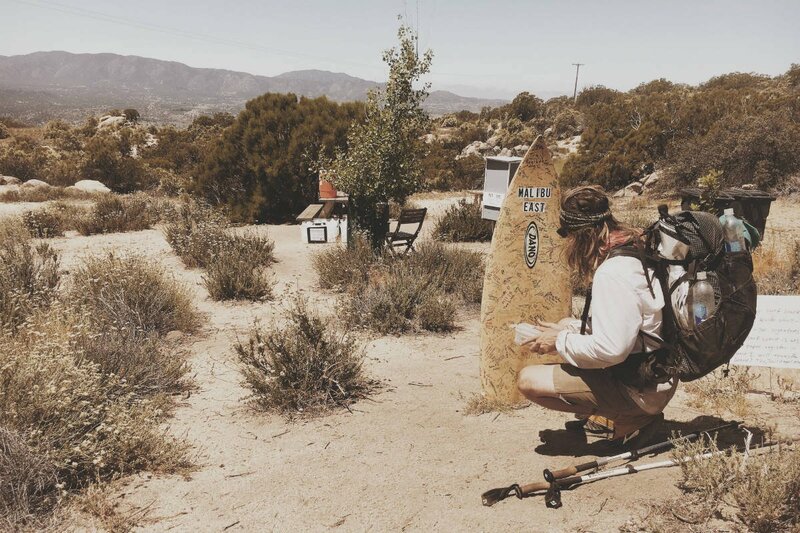 They are currently hiking the Pacific Crest Trail from the border of Mexico to Canada. You can follow them on Instagram at @aaroncbailey and @ster_ling, and follow Sterling's writing at Under Our Feet. They travel because they would rather be staring at sunrises and sunsets instead of computer screens.